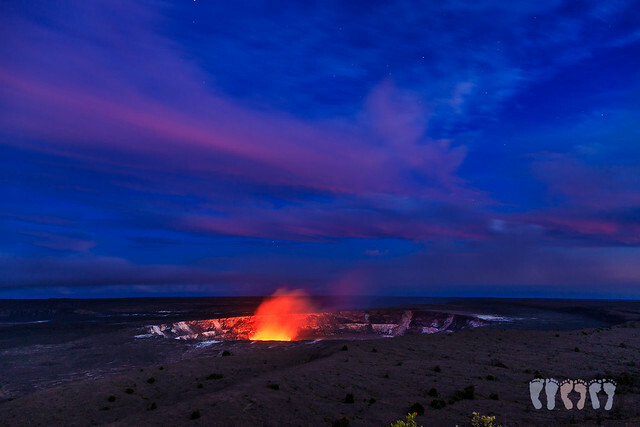 Wouldn't be a trip to the Big Island without visiting Halema`uma`u, especially at night. The crater lookout at the Jaggar Museum was packed! Being that it was Fourth of July weekend Volcano National Park had park rangers lining up traffic and parked cars down the road leading to the lookout. I've never seen the lookout so packed! 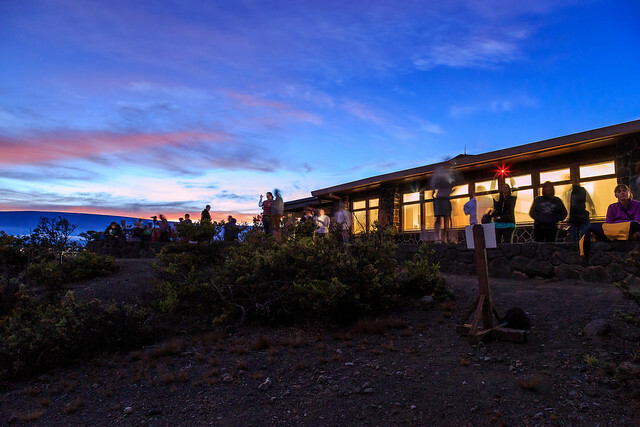 The vog made for a spectacular sunset. 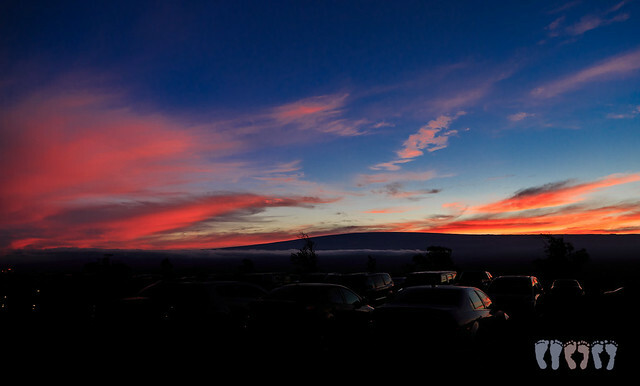 Sunset illuminated clouds over Mauna Loa. 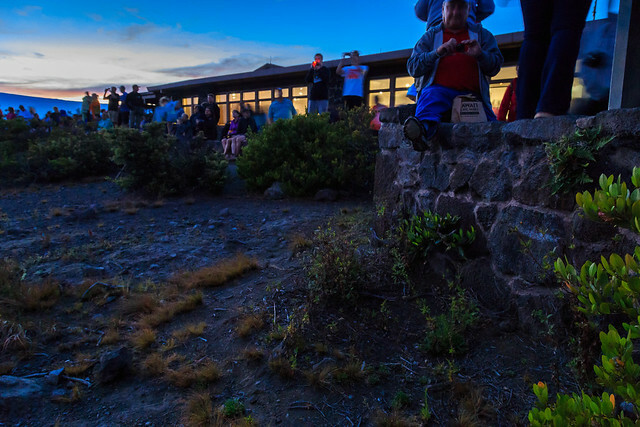 People were lined up along the lookout wall. Pele put on quite a show! Always such a beautiful sight.